Rhumayog Gold from Zandu contains gold in the form of Suvarna Bhasma (a finely micro pulverized form). Gold selectively accumulates in the synovial cells of the inflamed joints and exerts immuno-modulatory activity, it corrects the immunological abnormalities and hence restores the balance of disturbed immune system. 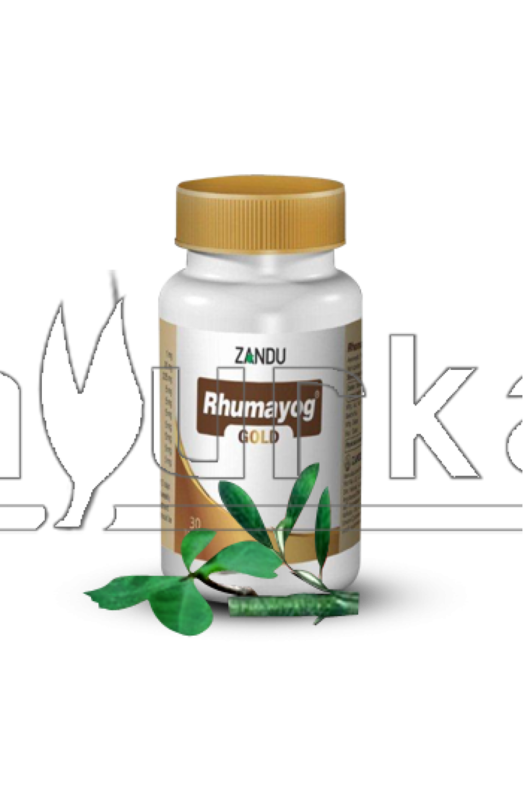 Rhumayog Gold inhibits PG synthesis and arrests the rapid progression of rheumatoid arthritis and ensures greater mobility without pain. Dose: Initially, one tablet twice daily (BD) for first 15 days, followed by 2 tablets twice daily at weekly intervals or as directed by the physician. 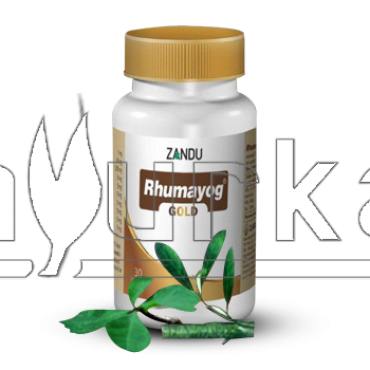 Packing: Rhumayog gold is available in packing of 30 tablets.